Every year I always miss someone or two or three on my Christmas card list. I’m sure that never happens to happen of you! My solution is to send a New Year’s card and include a little family newsletter. That way it looks like I haven’t forgotten them – I just choose to wish them a Happy New Year! 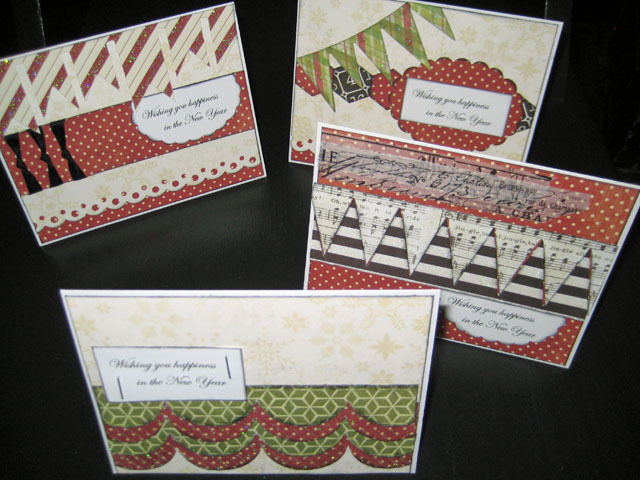 I made these cards from left over Heidi Swapp Christmas papers and embellishments. Who says you can’t use Christmas paper for other occasions? Without the phrase Merry Christmas or Happy Holidays, these papers are just lots of pretty prints! This set of cards came together really quickly: using a paper trimmer, a couple of punches, some Distress Ink and my trusty Xyron Creative Station. After gathering all supplies I cut simple rectangles to fit my standard A2 cards. 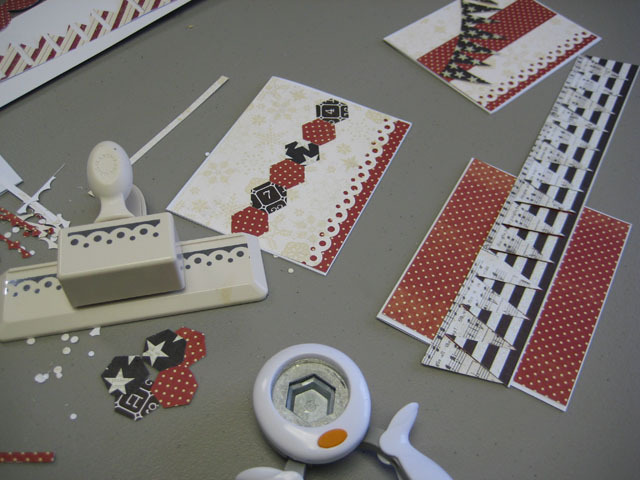 I punched some borders with a Martha Stewart border punch and used a Fiskars hexagon punch to create some coordinating hexagons. I also used some of Heidi’s Believe Banner Delights as added elements. I just played around and did a quick layout of designs before inking all edges with Ranger’s Black Soot Distress Ink. I don’t seem to own a ‘Happy New Year’s’ stamp so printed my sentiment on white cardstock. 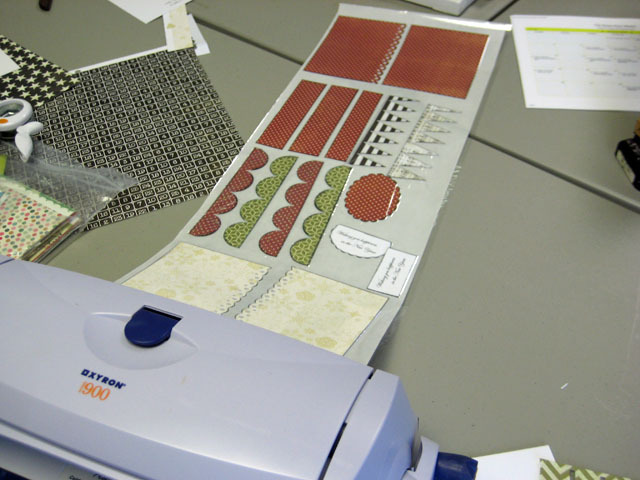 I punched some with a Marvy scallop circle punch and trimmed out the others with the paper trimmer. 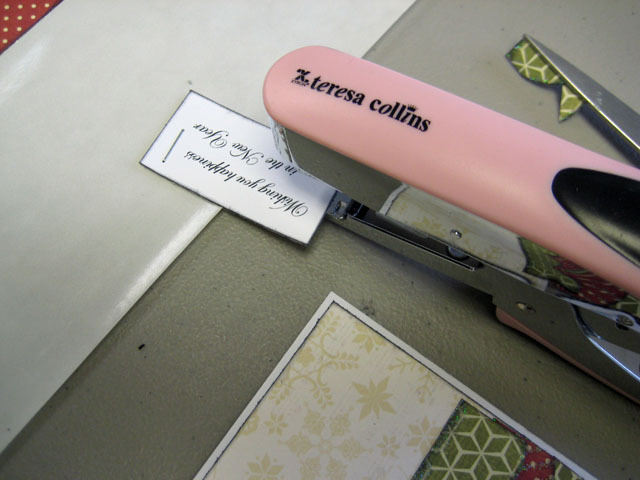 I used my Teresa Collins Stapler to add some detail to one of my sentiments before attaching it to the card. 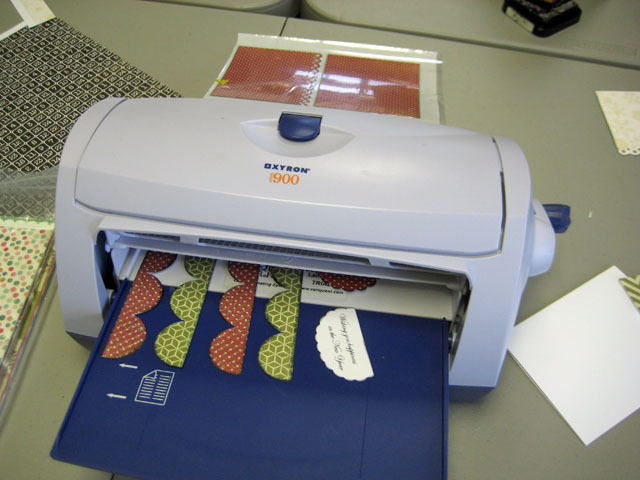 All my card pieces are run through my Xyron 9″ Creative Station. I like to use this size when I have lots of pieces. I can line them up before shipping them through so adhesive is not wasted. Then the fun begins – peel and stick! So easy! These are the finished cards so now I only need to type up the newsletter and pop them in the mail after Christmas! This makes me feel like I’m actually ahead of the game. Great idea. Thanks for the how to pictures. Thank you, Brenda – and, you are welcome! 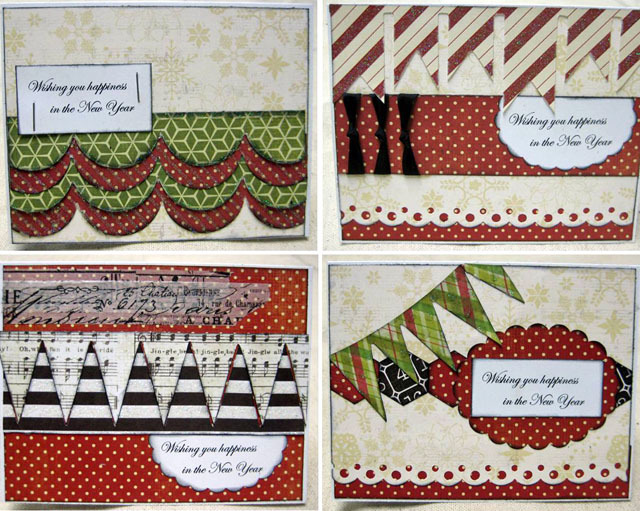 Great cards and tutorial, l am always late with my christmas cards. Thanks and just started following you. Thanks, Karen! and thanks for the new follow! Quick cards are the best! A great idea and these all look fantastic! Love the “zetti” banners specially, such rgeat use of that particular paper!